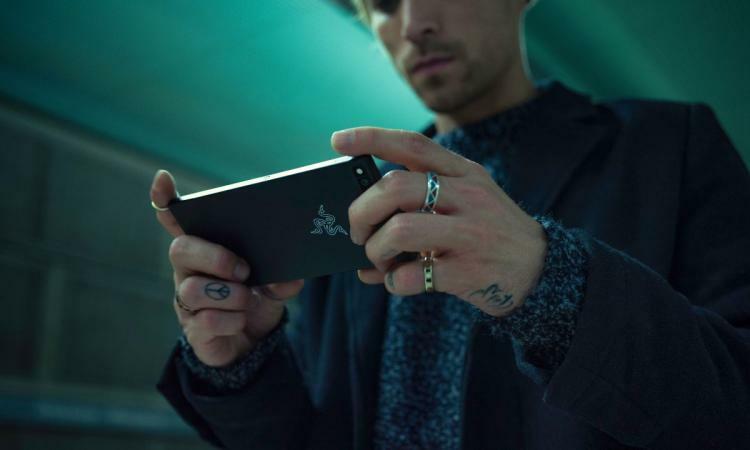 LONDON Nov. 1st 2017 – Razer today unveiled the Razer Phone, an Android smartphone with groundbreaking audiovisual technologies and processing muscle that takes personal entertainment to the next level. UltraMotion's adaptive refresh technology synchronizes the GPU and display to remove image tearing or lag while driving efficient power usage. 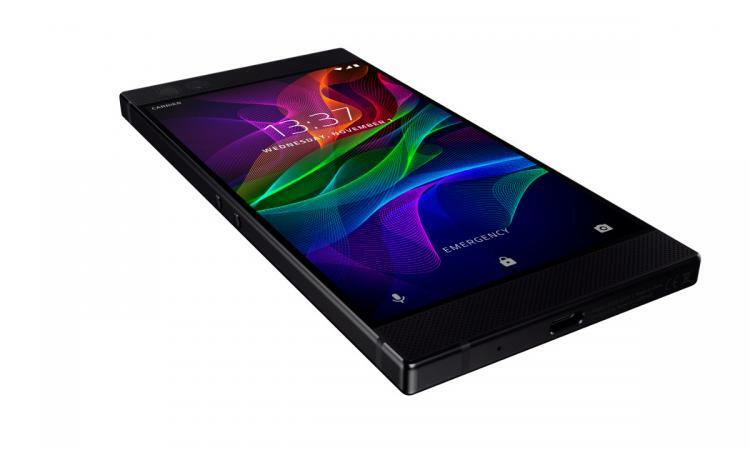 The 5.72-inch display - a Quad HD IGZO LCD - delivers vibrant and sharp images with a wide color gamut. Watch - Enjoy movies the way they were meant to be seen. Feast your eyes on a big screen with crisp details and the smoothest motion, complete with true-to-life vibrant colors. Add loud, riveting sound to complete the cinematic experience right in your hand. Listen - Go ahead and turn up the volume—everything sounds amazing. Expertly tuned audio delivers all the highs and lows of your favorites tracks whether you listen through the stereo speakers or your favorite headphones. Don’t suffer in silence, there’s enough battery power to keep your tunes streaming all day long. Play - From your everyday commute to playing in a tournament, experience buttery smooth gameplay and lightning-fast performance thanks to top-of-the-line components. Dial in your graphics to optimize your experience no matter what game you’re playing. And with a larger battery size, you can indulge in the latest games without worrying about running out of power. 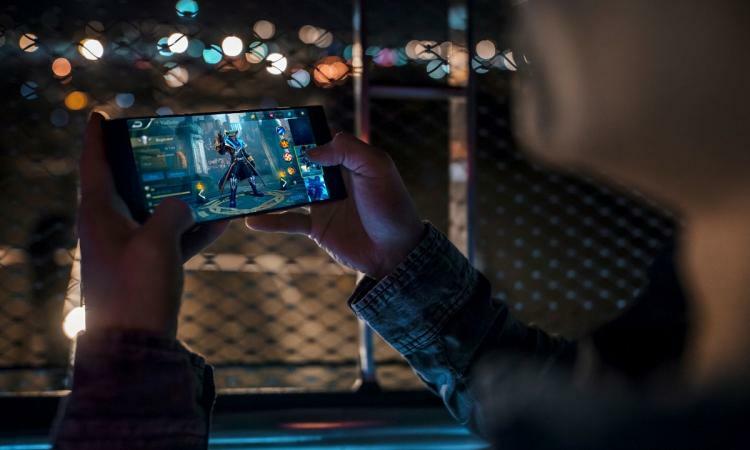 "The future of gaming is rapidly expanding to mobile devices, and both Razer and Tencent are at the forefront of fast-tracking development," said Vincent Gao, global marketing director at Tencent Games. 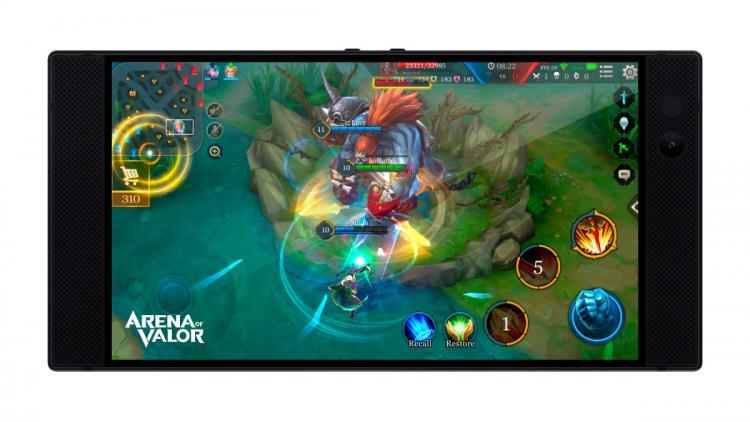 "Arena of Valor brings gamers a fast-paced, competitive experience, and the Razer phone was built to handle the visuals, sound and quick-reflex mechanics of the game. This partnership sets the standard for the next generation of mobile screen play." • “Titanfall™: Assault” from NEXON Co., Ltd. and Particle City, Inc.
- 6.24 in. x 3.06 in. x 0.31 in.